Brooklyn's Barclays Center hosted the 2015 NBA Draft last week, granting 60 young men the opportunity to showcase their basketball skills against the best of the best on a nightly basis. In addition to the opportunity to showcase their skills on the court, the contracts that some of the drafted players will sign will allow them to showcase their abilities off the court as well. 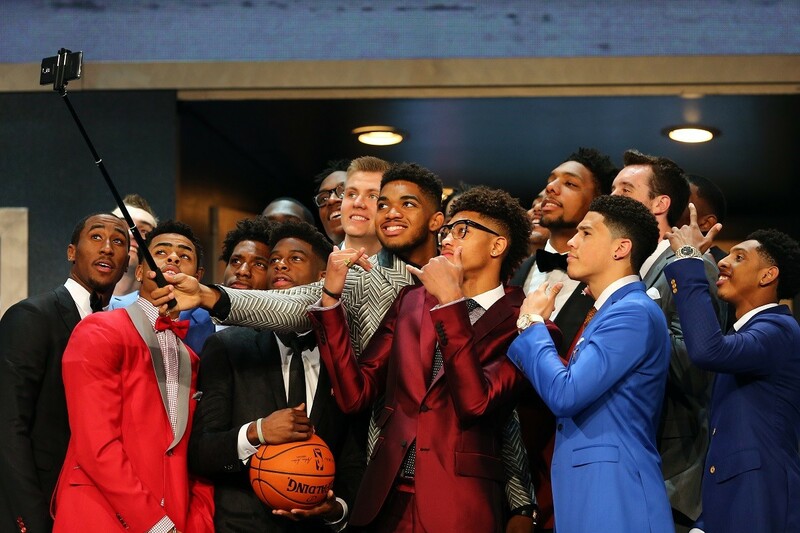 Just how much money will the NBA draftees make? Let's take a look. In contrast to leagues like the NFL and MLB, the rookies in the NBA rarely hold out. The reason? The Collective Bargaining Agreement, which is negotiated between the league and the players union, predetermines the guaranteed salary of each and every first-round pick. As you could probably guess, the higher the draft pick, the higher the predetermined salary. First-round rookie contracts are guaranteed for the first two seasons, with the team having the right to exercise an option to re-sign the player for the third and fourth year. The amount made by the player in the fourth year of the contract is based on a percentage of the third year amount. Rookies can sign between 80% to 120% of the predetermined scale, though most sign for somewhere close to the full 120%. Whether or not the player signs for the full 120% often comes down to the ability of the player's agent to convince the team to sign the max deal. Though agents do not receive commissions for rookie contracts, their ability to get the most money for the player in their first deal can definitely be a factor that can help the agent build equity with the player that can convince the player to retain the agent when he goes into his second deal, when agents do receive commissions. Second round picks are not subject to the rookie wage scale, but in many cases, sign guaranteed deals as well. Congrats to all of the young men drafted last week. Don't spend all that money in one place!! !